Item # 308640 Stash Points: 8,995 (?) This is the number of points you get in The Zumiez Stash for purchasing this item. Stash points are redeemable for exclusive rewards only available to Zumiez Stash members. To redeem your points check out the rewards catalog on thestash.zumiez.com. 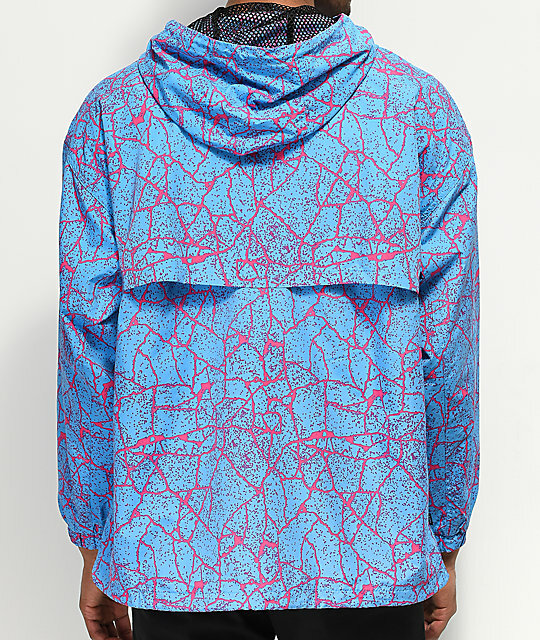 Take a crack at a new look with the Concrete blue anorak jacket from Obey. 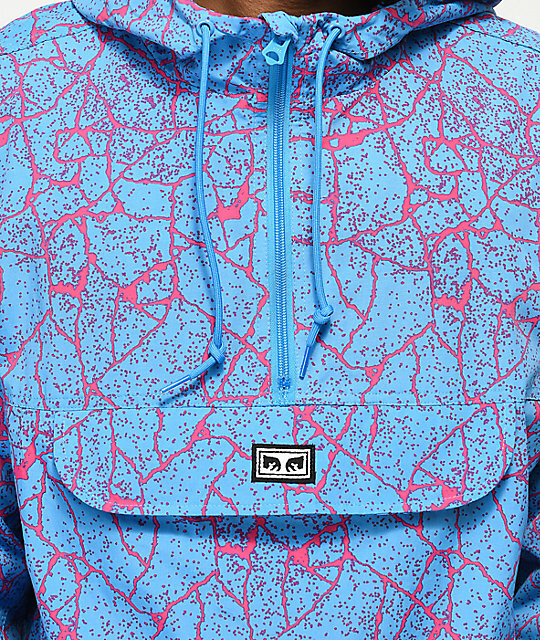 Taking the term "street-wear" to a whole new level, the Concrete jacket displays a cracked concrete print throughout in blue and pink and offers a front pouch pocket, quarter zip closure, adjustable drawstring hood, and back mesh flap for a mutli-functional and stylish garment you can wear all year round. 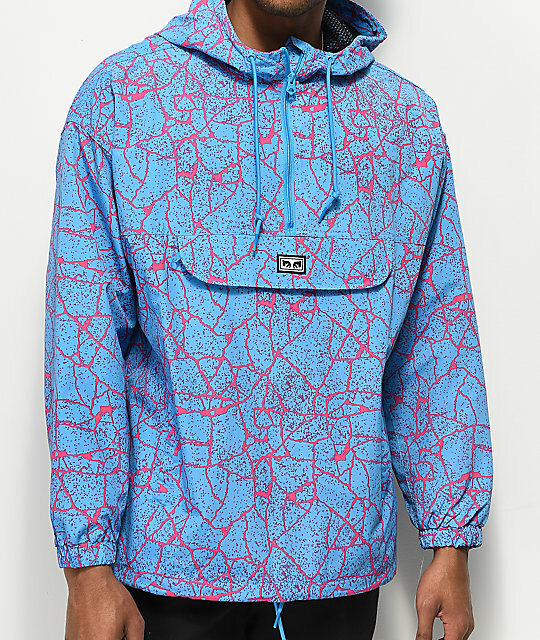 Concrete Blue Anorak Jacket from Obey. Pink and blue cracked concrete print throughout. Machine wash cold and gentle, hang dry. 30" (76cm) from top of shoulder to bottom hem.